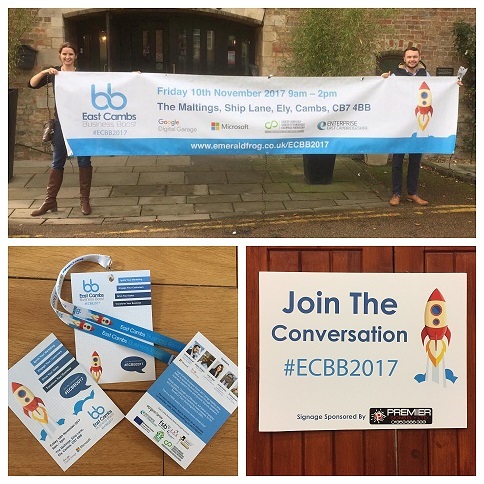 East Cambs Business Boost 2017 is a project produced by East Cambridgeshire District Council’s Enterprise East Cambridgeshire team, The Greater Cambridge Greater Peterborough LEP, Cambridgeshire Chambers of Commerce, the Federation of Small Businesses and Emerald Frog Marketing at The Maltings in Ely. The concept was to provide a unique event to bring together 100 local small and medium-sized businesses from across the region. The event would consist of networking, business support clinics headed up by Signpost 2 Grow (the LEP’s free business signposting service) and exhibitors from the Cambridgeshire area. The team approached Emerald Frog Marketing to assist with organisation of the event and marketing and PR to local business, before, during and after the event. The event was a huge sucess and quickly sold out, with 227 businesses attending the day and received a flood of positive feedback comments. 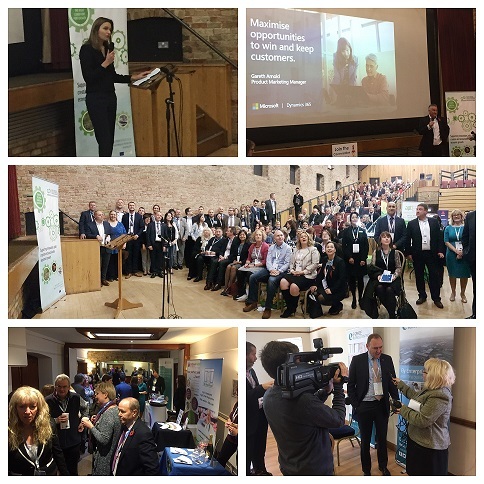 Keynote speakers, Microsoft and Google, delivered engaging and insightful sales and marketing masterclasses to help local businesses boost their activities and the event will be opened by Lucy Frazer MP, with James Palmer Mayor of Peterborough and Cambridgeshire, also speaking. The success of this event has paved the way for East Cambs Business Boost to become an annual event. “The success of the initial East Cambs Business Boost was a great team effort but Jo’s energy in her part of organising the event and promoting it was instrumental in its success. A sell-out and the success has been demonstrated with superb feedback.” Alan Todd, Chair of the FSB Greater Cambridge.